Circulation is generally anticlockwise; off Greenland, relatively warm, salty water moves north, while along Baffin Island, cold, fresher water originating from the Arctic Ocean flows south. Icebergs, formed by calving off the Greenland glaciers, appear year-round, but are most numerous in August. Between about 15 000 and 10 000 years ago, as the glaciers retreated from the last ice age, parts of Georges Bank and other shallow areas were dry land; fragments of trees and mammoth teeth from this era are still found occasionally in fishing trawls. The Beaufort Sea coast is low lying and subject to considerable scouring by ice and erosion by storm surges. The Canadian shelf and the Yukon/Alaskan shelf form the southern boundary of the Beaufort Sea, but they have significantly different widths and alignments. 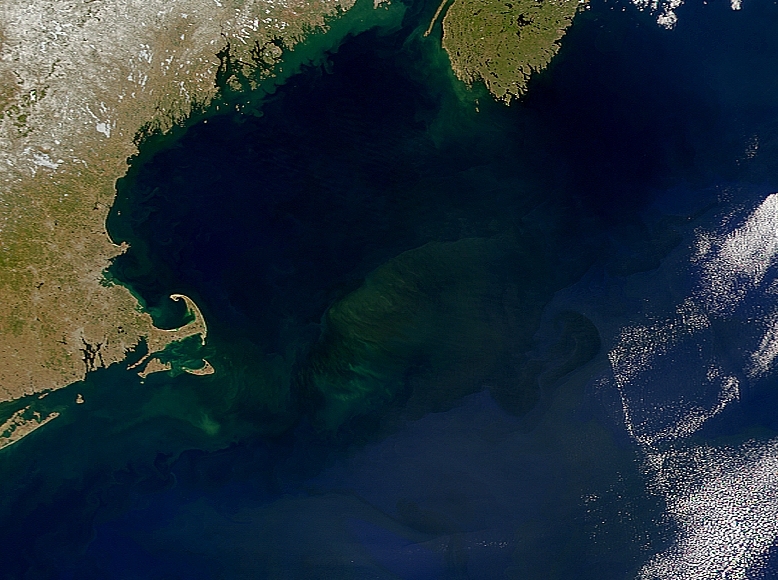 Cabot Strait, the passage between southwest Newfoundland and Cape Breton Island. Named for explorer John Cabot, it is 110 km wide between Cape Ray, Nfld, and Cape North, NS. Some of the greatest depths in the eastern Arctic are reached here (3660 m) in the southern end of the strait. The surface waters are strongly affected by counterclockwise-flowing currents. Georges Bank is a large submarine bank (250 km by 150 km) at the edge of the Atlantic continental shelf between Cape Cod and Nova Scotia. 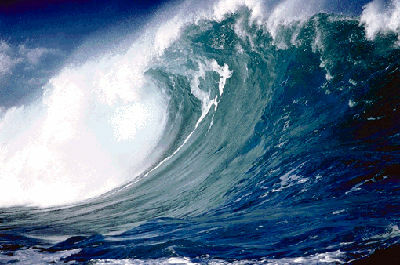 Typical water depths are 50-80 m, but in some areas the water shoals to 10 m and less. 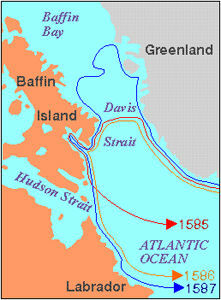 The water over the banks is mainly supplied by the southward-flowing cold LABRADOR CURRENT. This current splits as it approaches the Grand Banks, with one branch moving south along the coast of Newfoundland through Avalon Channel to St Pierre Bank. The Labrador Current, famous for icebergs and once-abundant cod fish, is a southeasterly flow of water over the continental shelf and slope east of Newfoundland and Labrador, between Hudson Strait and the southern tip of the Grand Banks. 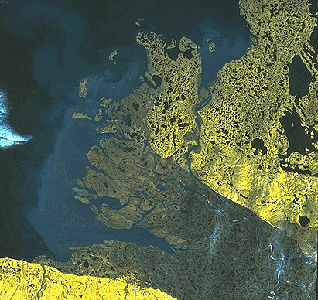 Labrador Sea is the body of water between Greenland and the coast of Labrador. 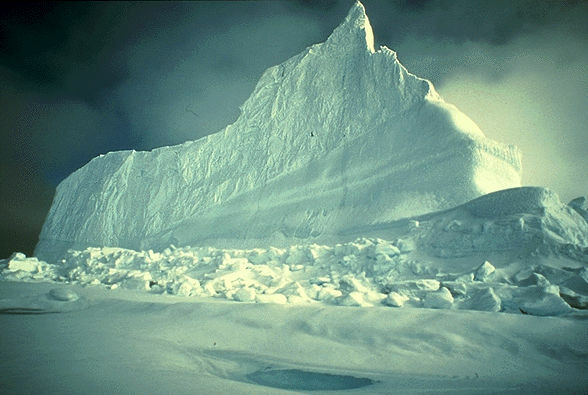 It is 3400 m deep and 1000 km wide where it joins the North Atlantic and shallows to less than 700 m where DAVIS STRAIT separates it from BAFFIN BAY. 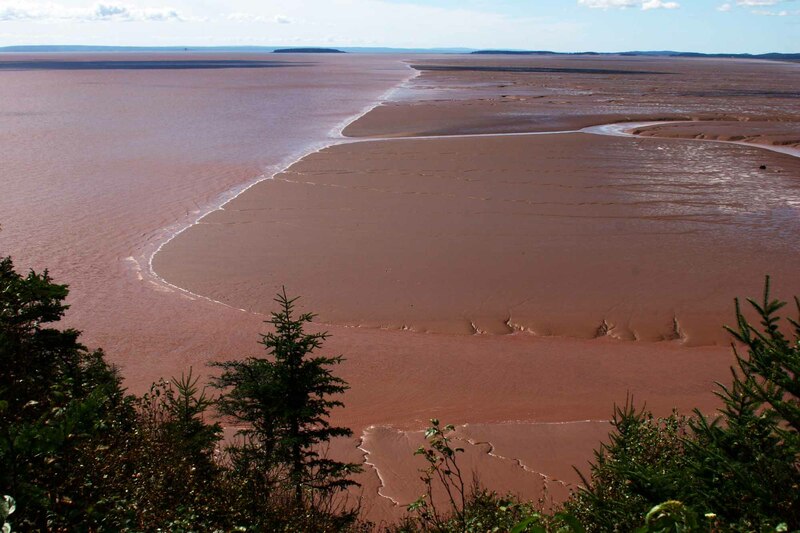 The interplay of these ocean waters with freshwater runoff from land creates the conditions that support large biological production on Canada's continental shelves and embayments (see COASTAL LANDFORM; DRAINAGE BASIN).